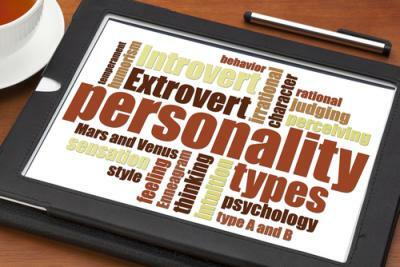 What Is Your Bank's Personality? As a young management trainee, we took a battery of tests that divided bank employees into quadrants based on their personality traits. It was useful information on how to better interact with others and offered insight into different working styles. If one person is an exuberant sales person always with a joke at hand, it's good for them to learn that it's not the best thing to burst into an analytical colleague's office. The careful analytical type may be concentrating on this quarter's call report and by their very nature, not want to be interrupted until they determine it is the time to take a break. Similarly, some people are ready decision-makers while others shy away from it. Some employees require diversity in their job duties or they are miserable, while others like consistency in what they do each day. All of these personalities mix at your bank every day, so understanding how another person approaches their work can be very helpful. Just like colleagues, different banks have very different characteristics in their business models and specialties. When a bank finds itself working outside its specialty, it may find itself not only outside its comfort zone but also taking on additional risk due to less expertise in certain areas. When a bank looks at its funding performance and considers which tactics to employ going forward, it is important to ask whether the strategy fits the context of the bank's overall business model. Banks have a range of business models and circumstances and each has its own risks and rewards, so strategy must be considered in that context. Most banks measure performance with net interest margin (NIM). That makes sense at some level as this difference between interest income and expense is how banks typically make the most of their operating income. Interestingly, if you give a bank a personality test, the results might show some generalizations on how they might proceed. To produce a 4.00% NIM, for example, a bank with a higher cost of funds (COF) must have a correspondingly higher interest income stream. This is typically produced by having a higher loan to assets ratio (+80%) and/or a higher yield on interest earning assets. This may involve taking additional credit, capital, or interest rate risk. Banks like this are often characterized by high loans to total assets and high COF. This is typically a high growth/high risk model. On the other hand, a bank with a lower COF does not need as high an interest income stream to produce the same 4.00% NIM. This means a bank can take less credit, capital, or interest rate risk than may be the case with a higher COF bank. Banks like this may also have a lower loan to asset ratio. This is rarely considered a model for generating dynamic growth, but it is worth noting that few of these banks failed during the last credit crisis. One of the more uncomfortable business models that can occur is when a bank with a low loan to asset ratio has a high COF. Those higher funding costs and lower asset levels mean the bank is operating very tightly. It may also mean the bank is having difficulty competing for loans despite paying up for funding. Like personality tests where no individual fits perfectly in any one box, no bank fits perfectly in any quadrant of the NIM personality test. Banks have differing combinations of asset and funding characteristics and they are likely to fluctuate at different times. Most banks would probably prefer to have funding costs as low as possible, but this sometimes conflicts with growth or other priorities. Managing funding and asset growth with the whole picture in mind is very important when planning the overall strategy of the bank. It's a good idea to consider your bank's personality make up, if it is where you want the bank to be, and if the bank is moving in the right direction. Treasury yields dropped 3 to 5 bps as investors returned their focus to the Federal Reserve. Jobless claims and a number of consumer indicators will be released. FOMC Chair Yellen told Congress the Fed remains on track to raise rates this year if the economy continues to improve as expected. Net income of $5.3B (+130% YOY); noninterest expense (-3% YOY). Other data of interest YTD: loan growth (+1%); FTEs (-3.0%); efficiency (62%); 31.3mm active online customers (+1%); 17.6mm active mobile customers (+7%); 4,789 branches (-1%). Other data: ROE (8.75%); ROA (0.99%); NIM (2.37%); LTD ratio (77%); loan loss allowance to loans (1.47%). Net income of $1.5B (-1% YOY); noninterest expense (-3% YOY). Other data of interest YTD: loan growth (+0.4%); FTEs (NA); efficiency (53%); active online customers (NA); active mobile customers (NA); 3,164 branches (-0.4%). Other data: ROCE (14%); ROA (1.46%); NIM (3.03%); LTD ratio (82%); loan loss allowance to loans (1.61%) and dividend payout ratio (32%). 1) BancFirst ($6.6B, OK) will acquire Bank of Commerce ($202mm, OK) for an undisclosed sum. Net income of $1.0B (-10% YOY); noninterest expense (+2% YOY). Other data of interest YTD: loan growth (+0.2%); FTEs (+0.1%); efficiency (61%); active online customers (NA); active mobile customers (NA); 2,644 branches (-2.0%). Other data: ROCE (9.75%); ROA (1.19%); NIM (2.73%); LTD ratio (86%); loan loss allowance to loans (1.59%). A Deloitte survey of CFOs at major companies in the Financial Services industry finds: 60% say they are biased to revenue growth over cost reduction; 55% are biased toward investing cash vs. returning it to shareholders (28% higher than average industry); expect revenues to grow 6.4% this year (highest for most industries); flagged burdensome regulations, rising commodity prices, interest rate movement/shocks as the most worrisome risks; are insufficiently prepared for cyber attacks (30%) or malicious attacks (30%); are well prepared for a national disaster (45%); expect compensation to rise 3.6% in the next 12 months (highest of all industry average of 2.9%) and are the most likely industry to cite continuing struggles in acquiring new talent.